So ... What is Global Voices? So ... what is this Global Voices thing I keep referring to on this blog? Ethan Zuckerman, its co-founder tells you in this to the point video interview. 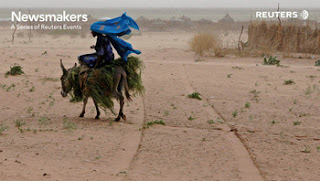 On Thursday May 24, 2007, starting at 930am EST, Reuters will be holding a Newsmaker event on the topic of the crisis in Darfur. The event will take place in New York and will follow the usual Newsmaker format of a panel discussion followed by a Q&A session. Read More about how to participate at the Global Voices website. Le jeudi 24 mai 2007 à 9h30 ( 15h30 heure de Paris), l’agence Reuters organise une conférence “Newsmakers” sur la crise du Darfour. Elle aura lieu à New-York et se déroulera selon le format habituel des conférences Newsmakers , avec une table ronde d’experts, suivie par un séance de questions-réponses. Comment participer. Du site de Global Voices en Français. Voici des informations sur la conférence. I'd like to send a warm welcome to all new kiskeácity subscribers! I have been busy with GV Lingua and making sure a loved one remains healthy after a pretty bad fall but I did get to notice that quite a few of you subscribed through the feeds and via email. Thanks and sorry you subscribed during such an awkward silence. I'll be back and ready to attack very soon. Promise.